Germany-based Lehmann & Voss & Co KG has developed a new generation of tribologically optimized thermoplastic compound, Luvocom XSL. The first material of this new product family is now available as Luvocom 80-8656/XSL, which is based on polyoxymethylene (POM). Its tribological properties can also be seen in a comparison with modifications using traditional additives such as polytetrafluoroethylene (PTFE) and silicone oil, says Lehmann & Voss. The incorporated lubricant in the new Luvocom 80-8656/XSL functions during the entire operating life of the component, thus eliminating the need of additional greasing. 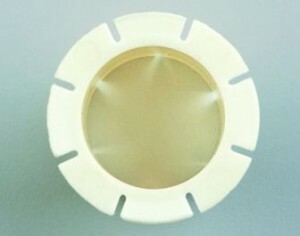 In the contact pairs tested to date, the system has not exhibited any run-in behavior nor any stick-slip tendency that would lead to squeaking. Processing takes place on conventional injection molding machines. According to the company, due to the low coefficient of friction, in many cases it is possible to manage without a draft angle. Luvocom 80-8656/XSL is not reinforced, which means that snap connections and undercuts are possible. In addition, modifications adapted to the requirements are possible with reinforcing materials such as glass fibers, carbon fibers, aramid fibers and other additives.